It measures everything from rates of chronic diseases, to the number of senior centers in a community, to the percentage of older adults living in poverty in a community. 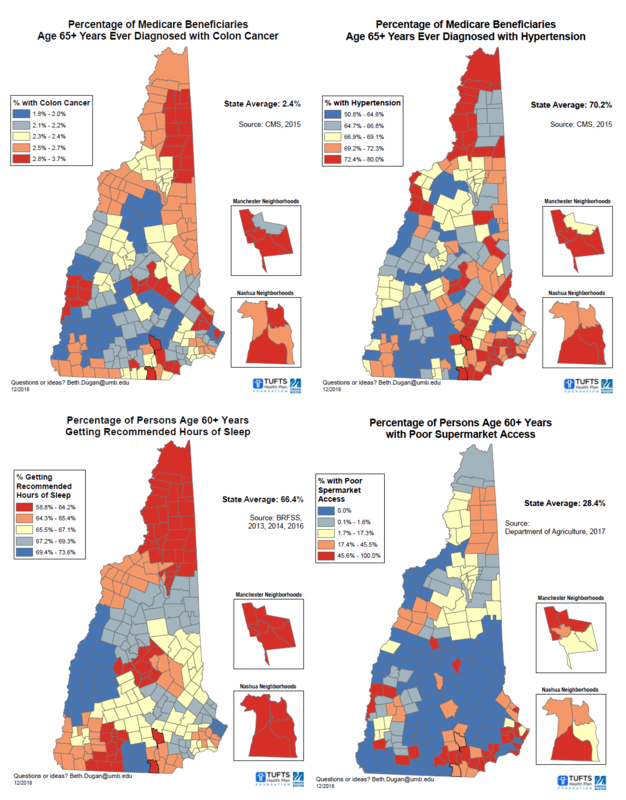 In a press call Tuesday morning Brinn Sullivan, president of the New Hampshire association of senior centers, said access to the data will "revolutionize" how medical providers and policy makers understand the communities they serve. "Every senior center in our state, every nutrition program, every library, YMCA, can go here and learn more about their community," said Sullivan. "They no longer have to dig through a bunch of different reports, it's all compiled in one place." Elizabeth Dugan, who led the research effort, says the results show a mixed picture of the health of seniors across the state. "There are clear health disparities by zipcode, by gender, and by the the type of community that you live in," said Dugan. Dugan says she hopes the database will aid medical providers and policy makers in addressing the needs of the state's aging population. According to the report, New Hampshire has the second oldest median age in the country with more than 20% of residents currently over the age of 60. New Hampshire's Department of Health and Human Services is holding 13 listening sessions throughout the state to hear the concerns of seniors. The sessions are so the state can collect public input before its next Plan on Aging, which is required to receive federal support for things like delivered meals and in-home care. Some common themes at the session in Keene on Friday included isolation in rural areas and a lack of affordable, senior-friendly housing.